If that doesn’t help or if it doesn’t solve all your problems, then we can treat your property with our Professional Mosquito Control. 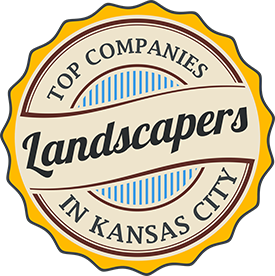 We provide this treatment in all of our service areas including Leawood, Overland Park, Olathe, Lenexa, and southern Johnson County, Kansas. The way that that works, is we’ll come out and we will treat all the areas the mosquitoes hang out in, which will be like your shrubs, tall grasses, lower-tree limbs, other foliage, anywhere that they hang out when they’re not attacking you. The most common question that I get is, is it safe? I can tell you that it’s very safe. In fact, this product that we use is commonly used in pet shampoos for a flea-and-tick pet shampoo. If you’re rubbing it all around on your pets and yourself, and getting it all over, it’s pretty darn safe. One of the additional benefits that comes along with this service is that it’ll actually control some of the damaging pest on your plants too. Things like bagworms, ants, spiders, silverfish, cockroaches, and other insects. Although this may not eliminate the need for one of our other insect control services, it will enhance their performance. If you have any other questions about our service or mosquito service or anything else, feel free to contact us. We look forward to hearing from you!